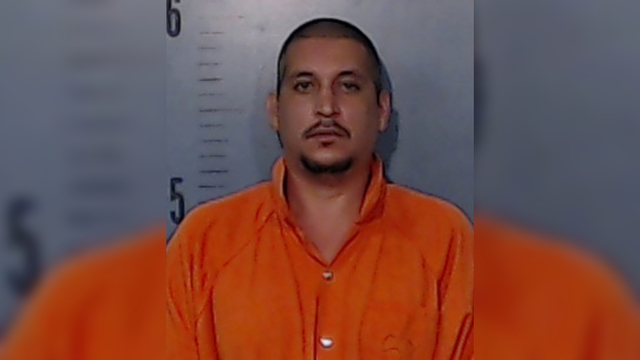 ABILENE, Texas (KTAB/KRBC) - An Abilene jury has found 40-year-old Michael Shubert guilty of capital murder late Thursday afternoon for the stabbing death of Debra Helgerson. He now faces a sentence of life in prison without the possibility of parole. Helgerson was found stabbed to death inside a home on the 700 block of Chapparal Circle the morning Shubert was arrested. Court documents say a door to the residence was broken and forced open. Documents obtained by KTAB and KRBC on November 29, 2016, say Shubert's roommate told police Shubert would talk about wanting to kill Helgerson. This roommate also claims Shubert signed his possession over to her "in case anything happened to him", and he showed her a "hit list" of people he wanted to kill. Shubert's roommate says she left the home they shared around 11:00 p.m. the night Helgerson was murdered because he was getting "out of hand", according to the documents. She claims she didn't see him again until the next morning when she took him to work. Additional documents say detectives spoke to a witness who said Shubert had been talking about how much he "hated Debra Helgerson" and blamed her for his ex-girlfriend, Helgerson's daughter, for breaking up with him. The witness also told detectives Shubert "was ranting about how angry he was with Debra Helgerson" and then left in his vehicle, according to the documents, which say Shubert later returned and told the witness, "she is dead". The documents state the witness reports helping Shubert dispose of the clothing he was wearing the day of the murder and the witness claims Shubert broke his phone after Helgerson was killed. Earlier this month, Detectives filed a search warrant for Shubert's DNA because they believe it could be on Helgerson's body, a pair of blue rubber gloves they think he left at the scene, and other items they've collected and booked into evidence. They also found a scratch on his chest that could have been inflicted by Helgerson while she struggled against her attacker, according to the documents. Shubert is being held in the Taylor County Jail on bonds totaling over $800,000 for the Murder charge and several warrants unrelated to Helgerson's death. Shubert has been indicted on a murder charge in the past in connection to at double shooting in Howard County in 1999.